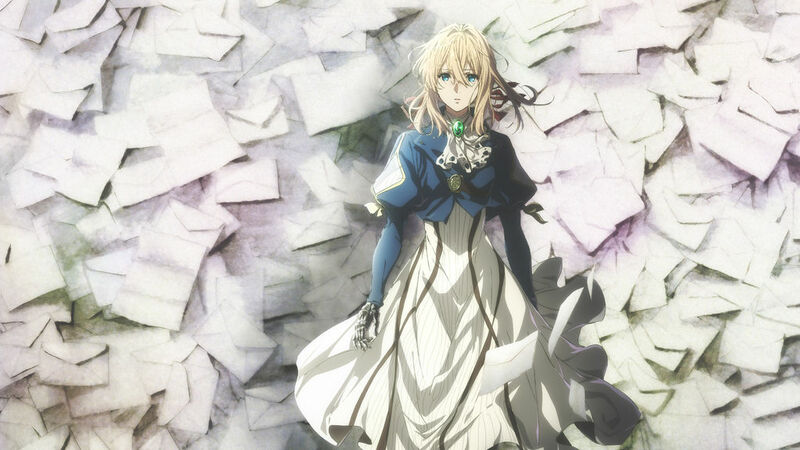 Four years after the divisive war that split the fictional continent of Telesis into Northern and Southern factions, former soldier Violet Evergarden finds herself facing the challenge of finding her place in this peaceful new society. With her lack of social finesse and automaton approach to tasks (which she often refers to as “missions” due to her military background), it’s a wonder why Violet becomes enamoured with becoming an Auto Memory Doll. A Doll is one who works essentially as a ghostwriter for the continent’s illiterate population, composing letters with a typewriter. “An optimal Doll will be able to decipher the person’s true feelings and express it on paper,” says the instructor of the training school Violet attends. Violet Evergarden takes on a weekly release schedule, streaming on Netflix every Wednesday. The series is slotted for a 14-episode run. With three episodes thus far, Violet Evergarden is a visual spectacle. The anime takes place in a pseudo-European setting with locations often taking on Germanic names. The flashbacks piecing together Violet’s life in the military shows soldiers engaged in bloody combat are in stark contrast to her present reality, with its lush flora, verdant fields, and crystalline skies. There is a sense of freshness in the crisp colour palette, suggestive of Violet’s new life, and the rebuilding of society. Where Violet Evergarden mesmerizes with its spirited animation, the world-building is shaky. The World War I era European influence is clear but, rather than a fleshed-out homage, it is a cobbled together continental façade, which so far in the story, seems to be lacking complex socio-cultural nuance. However, it’s also important to note that the anime is an adaptation of an award-winning light novel series, which speaks to its narrative potential.